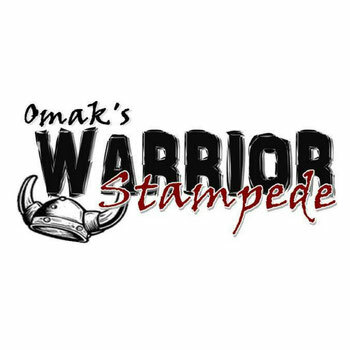 The Omak Warrior Stampede is a 4+ mile loop course that begins and ends at the Stampede Rodeo Arena, within Eastside Park, located in Omak Washington. The sounds of roaring footsteps running the bleachers signals the start of the course. 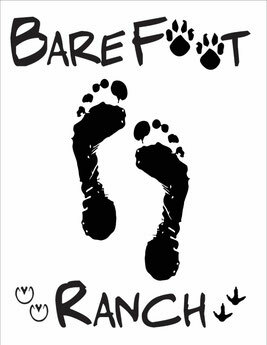 Upon exiting the arena, the course then meanders thru Eastside park where participants will encounter a variety of obstacles and functional movements with a strength component involved. 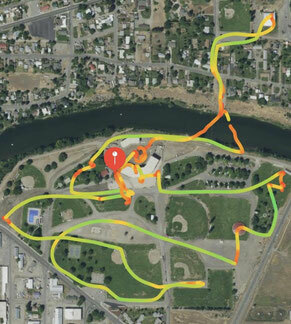 Upon task completion the participant continues along the course to the Okanogan River, where you wade across the river and scramble up the Famous Suicide Hill. The course loops back around so the participants get the chance to launch themselves off the Suicide Hill. Wading or swimming across the river again, the course continues thru Eastside park finishing back at the Stampede Rodeo Arena.